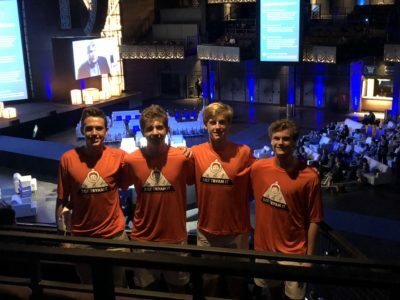 On September 21, 2018, 4 Landon high school students attended the Biden Cancer Initiative’s culminating event in downtown Washington, DC. Armen S, Vernon H, Jonathan C, and Johnny M learned about the variety of approaches to cancer care research throughout the country from panels of experts. Thanks to these gentlemen for participating. We are grateful for the long-term relationship with the Landon School.